Whether for personal or professional reasons, there is so much to be fascinated with Turkey’s unique culture. For those wishing to explore up close, the opportunity to learn is closer than you think. Based in Maple Street, Fitzrovia in Central London, the Yunus Emre Institute (Turkey’s equivalent of the British Council) runs a host of courses. Students of all abilities can learn the Turkish language, Ottoman Turkish, and Ottoman History, as well as more artistic courses such as ebru (art of paper marbling), making traditional Iznik (ceramic) tiles, and playing the oud (traditional stringed instrument). The Yunus Emre Institute (YEI) is currently accepting admissions for all its courses this autumn. There is a deadline for enrolment and due to limited places, many are on a first-come-first-serve basis, so early registration is advised. 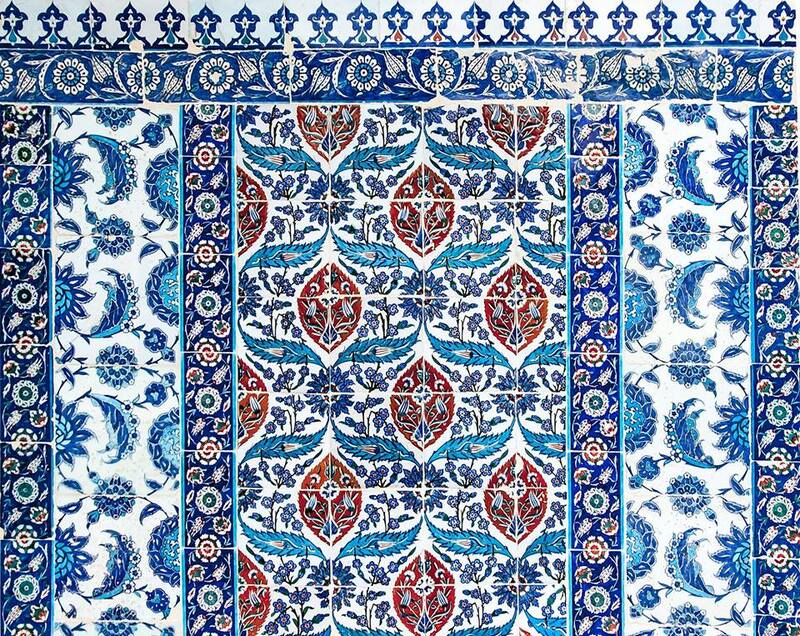 Have you ever been impressed by the ceramic Iznik potteries featuring striking blue patterns at the V&A Museum or elsewhere? They are named after the Turkish town Iznik, which remains a major centre for the production of these simple earthenware pottery with an under glaze decoration. Thanks to this YEI course, you can now make them with your own creativity and imagination. In this introductory course, all ability levels are welcome. Students are introduced to the materials and learn how to use them. Afterwards, they learn about painting techniques in the Iznik style and can then start to design their own works, transferring their designs onto a ceramic surface. Towards the end of the course, the students will also learn to fire their decorative earthenware. Sibel Pekgöz is the course instructor. A renowned ceramics artist, her tile works have featured in many projects and exhibitions. She worked in Ceramics and Glass Technology at the Ankara Technical Institute for 12 years and established the Decorative Glass Workshop there. After moving to London, she started to work on individual tiles at the Fired Treasures ceramic studio. She has a Fine Arts degree from Gazi University. Would you like to start learning Turkish this year or improve your existing language skills? YEI offers six different levels, ranging from A1 to C2, to cater for a wide range of Turkish language students. The courses are held on weekday evenings and also Saturdays. 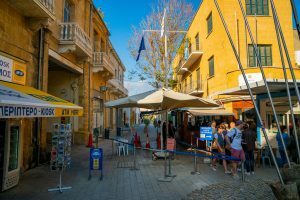 The registrations are taken on first-come-first-serve basis and there are limited spaces available on the course, so you should enrol as soon as possible. For those interested in Ottoman history and culture, knowing Ottoman Turkish is vital, as before the creation of the Turkish Republic, Turks used Arabic-Persian script for their texts. To acquire a deep and direct knowledge of Ottoman history, these combined YEI courses into Ottoman Turkish and Ottoman History through Texts will help you to read significant texts of the era. 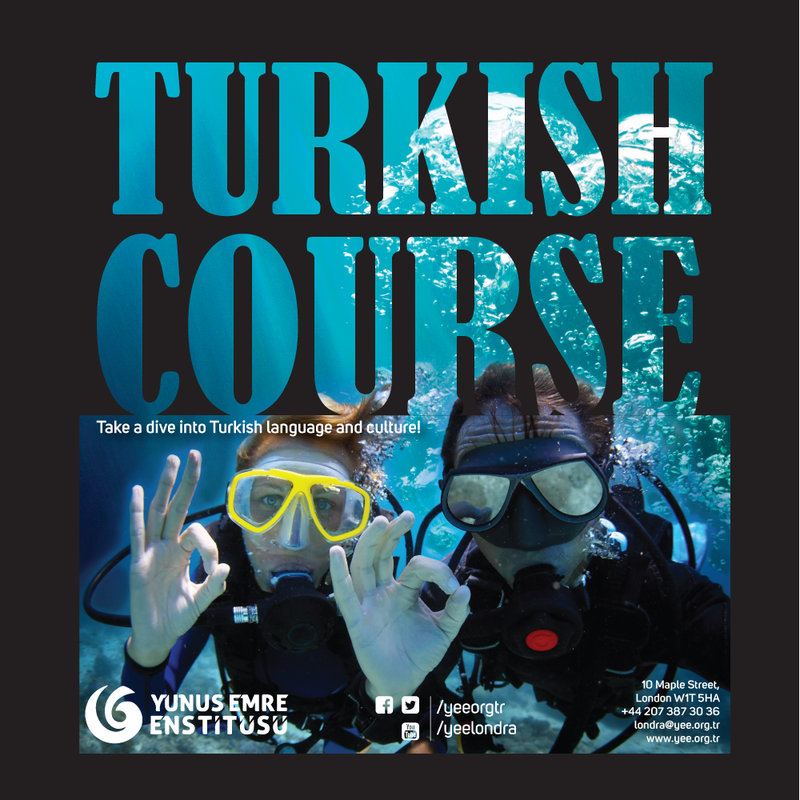 Both courses require students to be proficient in the Turkish language to at least B2 level. 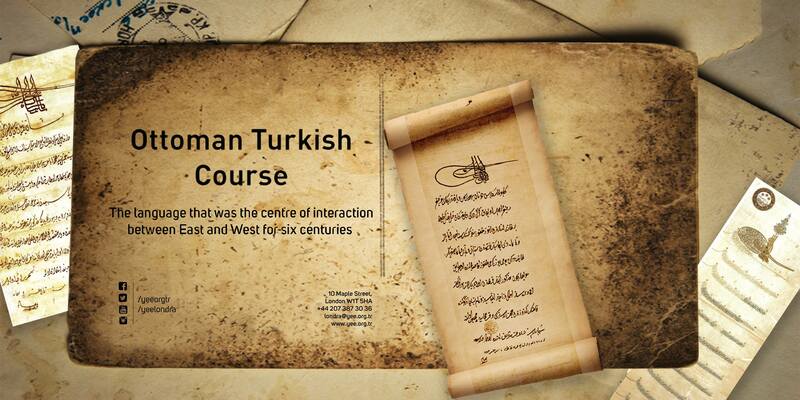 The two courses are taught by Cumhur Bekar, who is a researcher at the Eurasian Empires Project. Bekar is also currently writing his PhD dissertation on The Rise of the Köprülü Family: The Reconfiguration of Vizieral Power in the Seventeenth Century. He completed his BA degree in History at Ankara University, before pursuing an MA at Boğaziçi University, where he also worked as a research assistant. 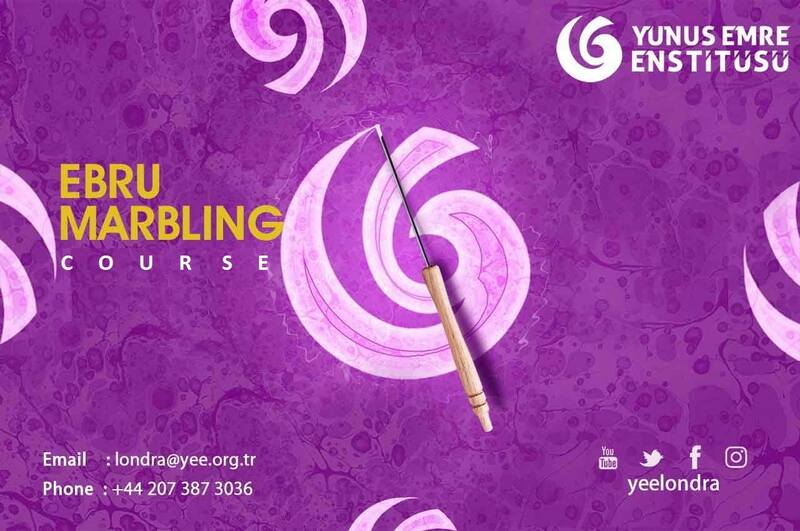 If you want to challenge your artistic skills, YEI’s Paper Marbling (Ebru in Turkish) course is ideal. Ebru is the traditional art of creating colourful patterns by sprinkling and brushing colour pigments on a pan of oily water, and then transforming this pattern on to special paper. During the course, students will learn general information about and history of Turkish Ebru Art. 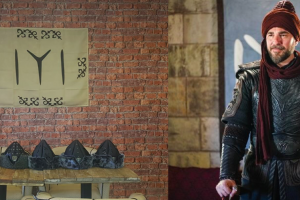 They will also learn about the materials used and traditional patterns, and how to prepare water and dyes. Once the course is complete, students will have the basic skills required to practise Ebru by themselves. The course instructor is Hayrettin Kozanoğlu, who is a London based artist, whose work has featured in various art exhibitions around the world. He opened his own studio in London in 2011, following a successful career in Turkey, which included working alongside famed artist Ahmet Gunestekin in Istanbul between 2000 and 2007. With an Art Management degree from Yildiz Teknik University, Kozanoğlu took up Ebru in 2009, learning from Turkey’s leading Ebru artist Nesrin Bilsel. Having mastered traditional Ebru skills, Kozanoğlu has come to prominence by forging his own unique Ebru style. There has been a resurgence of interest in early Turkish Classical Music. Through the Ottoman Empire has influenced the musical cultures of multiple states in the Balkans, southeast Europe, Central Asia and the Middle East. One way to experience this magical world is by learning how to play the oud, which is one of the main instruments of this genre. YEI’s course is suitable for all levels as it teaches everything step-by-step: basic music theory, reading notes, basic rhythms, common makams (theory and practice) and their specific intonations, and technique exercises. 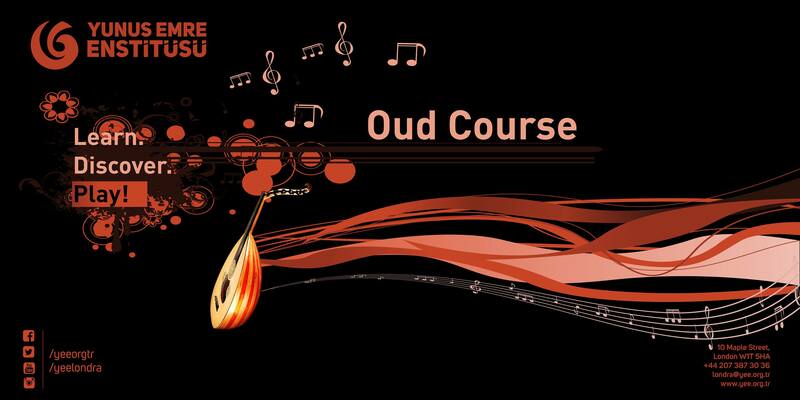 The course instructor is master musician Baha Yetkin, who is the only Turkish-style oud and Makam music teacher in Britain. Trained by world-famous oud artists such as Mehmet Emin Bitmez, Necati Celik and Yurdal Tokcan, Yetkin has performed at major concerts in Turkey and abroad with renowned musicians including Inci Cayirli, Mustafa Keser, Petros Klampanis, Michalis Kouloumis, and Cigdem Aslan. Yetkin was the first Turkish oud artist to perform a solo set at the Royal Albert Hall and has also featured in key cultural events such as Shakespeare’s 7 Theater Play, Alamar World Music Fest, and the SOAS Middle Eastern Forum). With an ever-expanding repertoire, Yetkin has also played the oud at two major flamenco concerts in Istanbul and Cordoba.